As a guest blogger for Cache, you might think I’m an expert in branding. I’m not. But I AM the Chief Brand Officer, founder, and CEO of a little company with big plans. I’ve studied and read the likes of Al Ries and Jack Trout, Jay Levinson, and Seth Godin. And I also read Brand: It Ain’t The Logo, which any self-respecting reader of Cache ought to! Small- and medium-sized business owners have certain advantages to their size – like flexibility, agility, and disruptiveness. The primary drawback is usually limited resources for things like marketing and branding. It seems it would be easier to get the branding wrong when you can’t hire people with that kind of specialized knowledge. So when I witness a huge company’s confused output and outright wastefulness it is incredibly frustrating. What is an Aspirin company doing making plastics? If Bayer is a plastics company, what is Aspirin actually made of? 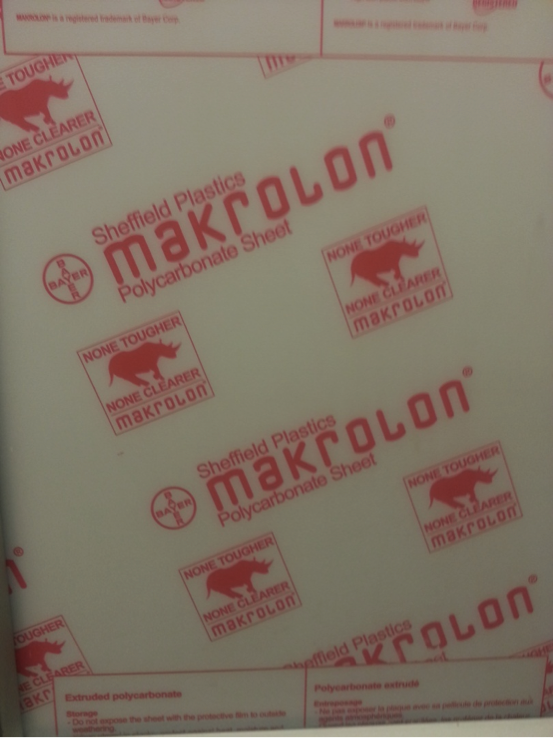 Isn’t Makrolon a neighbouring planet to Krypton? Is this plastic strong enough to protect something from a charging bull? 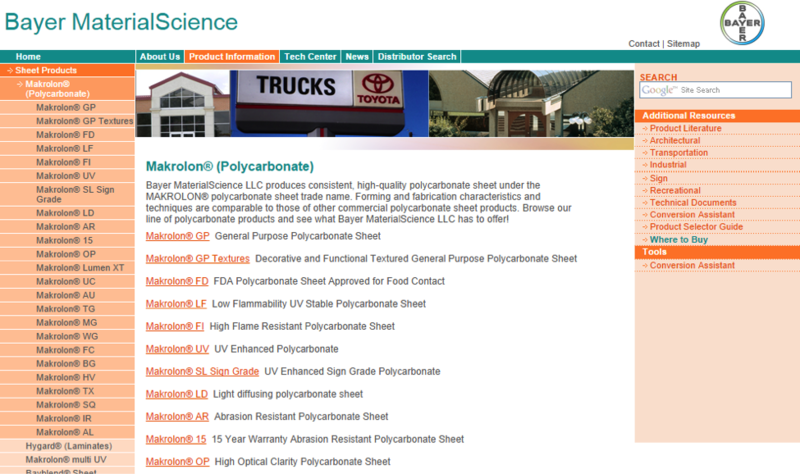 A search for “Makrolon” offers a range of official corporate websites. The one I select takes me to this page where there are no less than 24 distinct products in the Makrolon family – and besides the Bayer logo, equally lacking in brand consistency. It’s difficult to find any useful description of what the products are for; lots of benefits and features but no descriptions of problems solved with these products. Can you see the squandered opportunity here? My point – Concentration & Focus. It’s pretty obvious that Bayer is trying to be everything to everyone. As are Samsung, GE, and even Google – and it’s only 16 years old. However, especially as a smaller company you need to stand for something, so that you can be known for that something. Make it one thing, and do it well. I dare you. It goes against our nature. It seems more prudent to try to get all the prospects in your market. But Bayer never will. And with the likes of Samsung around, Apple never will. And if you really think about it, you don’t want to. It’s costly to try to be everything to everyone. So – if I were Bayer and I was selling that plastic sheeting? I would ditch everything but the Makrolon name (and I’d seriously consider going with a new name – and of course, hiring Coin Branding). I’d come up with a better tagline, and I’d use the poster backing to demonstrate some objective evidence about the problems my product solves. Being bigger is clearly not better. It’s too tempting to use your substantial marketing budget to pander to the various players from a bewildering corporate merger who want their identities made prominent. It’s better to be known for ONE THING so that you can focus your resources on making sure people know about your one thing. Being smaller, in this case, is an advantage. You can just be you. Focusing your offer and branding is clinically proven to provide fast and effective relief for many of your small business headaches! 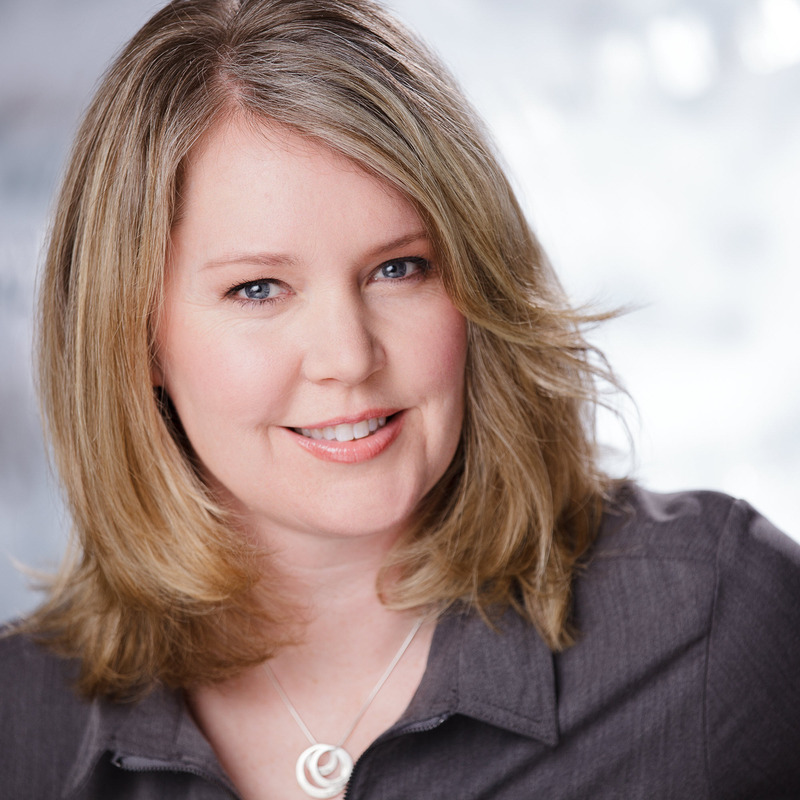 Angela Meharg is Founder and CEO of Datisfy Inc. (a name developed by Coin), and the ONE THING her company does is help business owners who use QuickBooks design the custom reports they simply cannot get out of QuickBooks. A service which, in many cases, helps keep these business owners from going insane. You can contact her at angela@datisfy.com. She wants you to know that she is saving up to hire a visual branding expert to develop a compelling look for Datisfy and its very basic website. This entry was posted in brand differentiation, brand identity, brand names, Chief Brand Officer, key messaging, logos, positioning, taglines and tagged Al Ries, andris pone, Angela Meharg, apple, Aspirin, Bayer, brand strategy, Brand: It Ain't the Logo, branding, Cache, Datisfy, GE, Google, Jack Trout, Jay Levinson, Makrolon, Samsung, Seth Godin, TTC. Bookmark the permalink.